Healthy and strong dairy cows are more likely to produce higher volumes of milk which is of a better quality than cows which are not at their optimum health. Here at Farm and Pet we stock a wide selection of farm animal supplies specifically tailored to the needs of dairy cows, to help you get everything you need in one place. We understand the importance of keeping your dairy cows healthy and so we stock a wide selection of health products, parasite control and supplements specifically tailored to dairy cows. Our range of farm animal supplies is comprehensive and includes products for fertility, first aid, foot care, hygiene, immune support, rehydration, respiratory support and udder health. We also stock a selection of vaccines to provide effective immunisation for your dairy cows from a young age to reduce the risk of future illness. All of our farm animal supplies are available to purchase online and will be delivered to your door. See our dedicated page for more information about refrigerated deliveries for farm medical supplies. 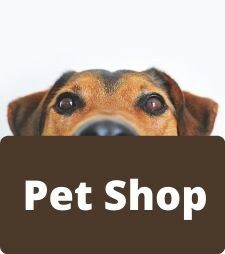 If you have any questions about our products then please get in touch with a member of our team, or talk to your vet who can advise you on the best product for you requirements.